Sherry Farra, associate professor and director for the National Disaster Health Course in the College of Nursing and Health. 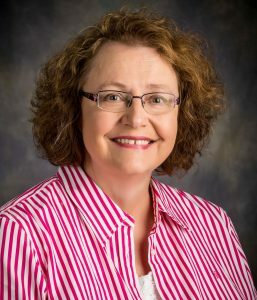 The American Nurses Credentialing Center (ANCC) has selected Wright State University nursing educator Sherry Farra for its prestigious Certified Nurse Award in the National Healthcare Disaster Professional category. The Certified Nurse Awards program showcases certified nurses in various specialties who have made impactful and valuable contributions to the nursing profession and the field of health care. Farra is an associate professor in the College of Nursing and Health and director for the National Disaster Health Course, an innovative disaster preparedness program for nursing students, working nurses, other health care professionals and first responders. Participants learn basic disaster life support, disaster leadership principles, first-aid, how to provide psychological support and how to prioritize injuries. “I am very honored to be recognized by the ANCC and thank the many people that work to make our disaster programs at Wright State a success,” said Farra. “Your tireless commitment to the pursuit of excellence in nursing practice towards achieving optimum patient outcomes in all phases of disaster truly projects a very positive image for what an ANCC certified nurse should be and deserves this year’s recognition,” Patricia Reid Ponte, ANCC president, wrote in Farra’s award letter. The judges cited Farra’s significant contributions in the field of disaster nursing, such as her patient-centered care approach in maintaining the rights and dignity of patients during all phases of disaster situations. “Your leadership and collaborative efforts working with numerous stakeholders at the local, state and national level, both civilian and military, to provide disaster preparedness education and training to multiple levels and disciplines of health care providers have been highlighted on the nomination,” added Ponte. The College of Nursing and Health is a leader in the field of disaster management. Participants are exposed to disaster concepts throughout the curriculum, which includes an elective devoted solely to disaster preparedness. The program is a blended learning experience consisting of prerequisites, online courses and an on-site immersion experience. Farra is engaged in research studying disaster training and has received federal funding for her endeavors. The College of Nursing and Health also works closely with the National Disaster Life Support Foundation to deliver core, basic and advanced disaster preparation courses. The ANCC Certified Nurse Awards – National Healthcare Disaster Professional is an annually held recognition that the ANCC grants to an eligible ANCC board certified National Healthcare Disaster Professional nurse clinician for their significant contributions to their specialty field of professional practice, education, research or service in the areas of innovation, collaboration, leadership and professional risk taking and patient-centered care. Official awards are presented in conjunction with Certified Nurses Day each year.